This post appeared the last week of September 2015 on Caroline Warfield’s most-excellent blog on historical fiction/fact, but I thought I’d share it here in case some of you missed it. The first seven books of my award-winning “The Realm” series took place during the height of the Regency Era. 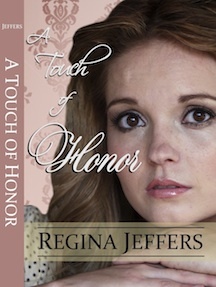 Book one (A Touch of Scandal) began in early 1814, and Book 7 (A Touch of Honor) ended in the spring of 1819. 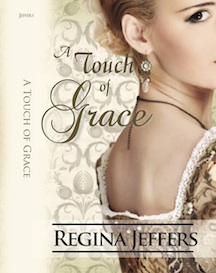 Although I am quite familiar with the Regency, I set the series’ conclusion (A Touch of Emerald) in 1829. In fact, George IV’s death in June 1830 is mentioned briefly in the latter chapters of the book. The shift of ten years made it necessary for me to revisit several points of history, most specifically the fashions of the day, but there were other details that required a bit of research. That being said, another point of interest was weaponry used by the members of the Realm. During the Regency, the single-shot rifle and pistol were common (although the Americans had developed rifles with longer ranges) and many of the British army used the Baker rifle. “The Baker rifle (officially known as the Pattern 1800 Infantry Rifle) was a flintlock rifle used by the Rifle regiments of the British Army during the Napoleonic Wars. It was the first standard-issue, British-made rifle accepted by the British armed forces. The Baker Rifle was first produced in 1800 by Ezekiel Baker, a master gunsmith from Whitechapel. The British Army was still issuing the Infantry Rifle in the 1830s.” (Wikipedia) It was the mid to late 1800s before the public saw major improvements in the bolt-action rifle. In A Touch of Emerald, my hero, Daniel Kerrington, Viscount Worthing, lived in Europe after the Napoleonic Wars, serving as his father’s assistant to several foreign courts. Worthing has the opportunity to purchase a gun developed by Jean Samuel Pauly and another by Casmir Lefaucheux. In the novel, he uses them in his rescue of Lady Sonalí Fowler. Pauly was an artillery sergeant with the Swiss Army, who wrote a manual on firearms in 1799. 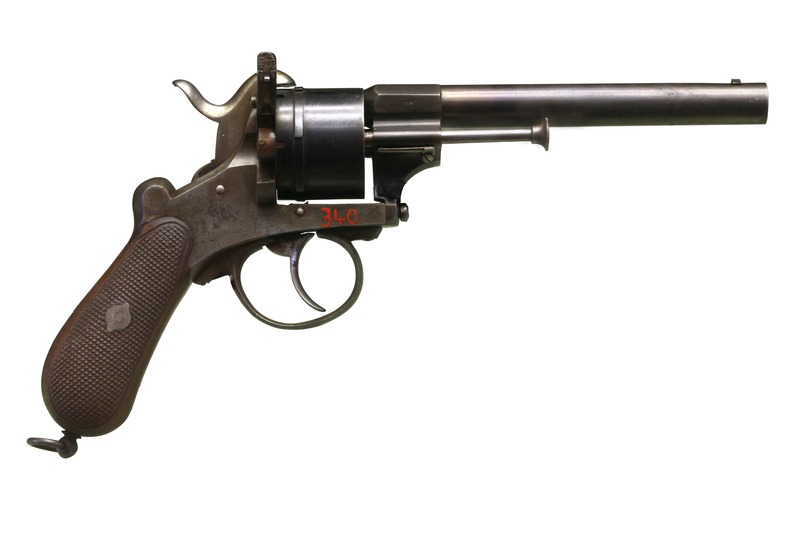 With French gunsmith François Prélate, Pauly developed the first self-contained cartridges with a copper base and integrated potassium chlorate primer powder, a paper casing, and a round bullet. The cartridge loaded through the breech and fired with a needle or pin. A firearm was developed by September 1812. Pauly traveled to London in April 1814, where he worked under Durs Egg, the maker of the Ferguson rifle. Casmir Lefaucheux received his first patent in 1827; he brought the world one of the first efficient self-contained cartridge systems. Lefaucheux’s early work was based on that of Pauly’s. The Lefaucheux possessed a conical bullet, a cardboard powder tube, a copper base, and an incorporated primer pellet. 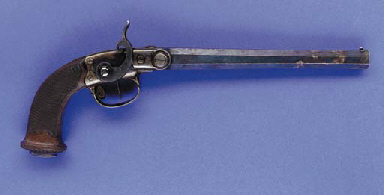 Lefaucheux’s was one of the first breech-loading weapons. The Realm is a group of covert agents working behind the lines throughout Europe during the Napoleonic Wars. The men of the Realm possess personal demons, but they return to England after the war to reclaim their titles and search for a bit of contentment. However, an old enemy follows them to England. Shaheed Mir, a Baloch warlord, believes one of he Realm stole a fist-sized emerald, and Mir means to have it back. A horrifying sense of inevitability swept over Sonalí. Icy dread claimed her spine, but Mir’s hand caught the fist, which came to her lips to stifle the scream drowning out the sound of the gun, to wrench her arm behind her. Sonalí’s gaze remained riveted upon the pain crossing Daniel’s features. 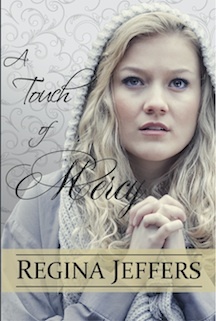 She longed to rush to his side – to wrap Daniel in her embrace – to cradle his head in her lap. “Move!” Mir growled as he shoved Sonalí forward. 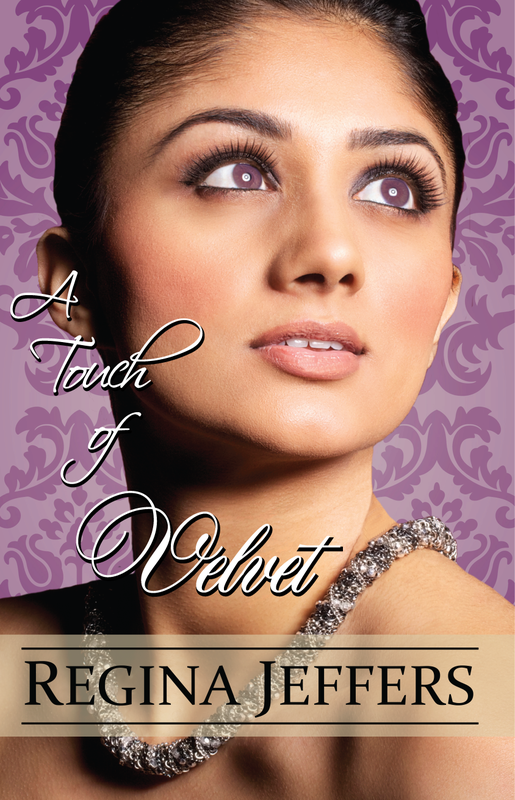 She strained to reach Lord Worthing, but the Baloch pulled upward upon her arm, bending Sonalí over at the waist. She stumbled forward unable to straighten her stance. They paused beside Worthing, who stilled. Even in the semi-darkness, Sonalí recognized how the blood seeped from his wound; regardless, his steady gaze demanded hers. “Leave her with me,” Worthing pleaded. “Lady Sonalí is of no use to you. Just go. Neither of us is capable of giving pursuit. You can travel faster without her. Lady Sonalí is injured. Although Sonalí could not see the Baloch’s expression, she could hear the vehemence in his tone. A prickle of foreboding ricocheted through Sonalí. Her tears rolled down her cheeks to drip upon Worthing’s upturned face. “Lady Sonalí…will protect me…from your…father. Linworth killed Talpur…and I will kill…his son,” Mir declared with relish. This entry was posted in British history, Great Britain, Living in the Regency, real life tales, Realm series, Regency era, Victorian era, weaponry and tagged A Touch of Emerald, Casmir Lefaucheux, Johann Samuel Pauly, Regency Era, the Realm series, weaponry. Bookmark the permalink. The choice of having a stable job, earning a good income, having more or less equal rights to men and good hygiene. Thanks for offering the giveaway, Regina. If I win, I would like either Book 6 or His American Heartsong. I am of the persuasion not to be any man’s “Property,” Sylvia. I would also despise the lack of a full bath (not a hip bath) and the medicinals. My Goodness, they even gave babies laudanum (an opiate) for teething pain. 1816-18 bad weather, failing crops and all those unemployed soldiers. It would have been a rough period for most. Thanks for joining me, Cassandra. I have used the Year without Summer as the backdrop for several story lines. The volcanic eruption which precipitated the loss of crops, etc., could not have come at a worst time with the end of the Napoleonic Wars. Destruction, especially across Europe, brought more devastation. War, in itself, would be such a bloody experience. My grandsons would surely be interested in this article about weapons. I will repost and see if they read it. Thanks for the information on your novels. They all sound mysterious and with adventure. I am a lover of Regency England and what transpired during those years for the good and improvements being made in education, agriculture, etc. Even small details such as the make of a gun, MaryAnn, is important in the tale. As the group in A Touch of Emerald are searching for loved one in the 22 miles of Chistlehurst Caves (outside London), I knew a single shot volley would prove useless under the conditions. I agree on the shower and the lack of education for women, Vesper.